Whether we take his picture of singer Miriam Makeba at the microphone or his world famous photo of Nelson Mandela looking through the bars of his former prison cell as examples, we see that Jürgen Schadeberg has never lost his humanistic view of the world. Many of his pictures have become timeless icons. On 15 November 2018, Jürgen Schadeberg was honoured with the Leica Hall of Fame Award for his lifework spanning more than seventy years, his untiring, courageous and equally outstanding engagement as a photographer. Jürgen Schadeberg was born in Berlin in 1931. From 1946, he visited the ‘Schule für Optik und Phototechnik’ in the city and went on to work for the Deutsche Presseagentur (dpa - German Press Agency) in Hamburg. In 1950, he emigrated to South Africa. He worked for Drum Magazine, the most important forum for the black majority of the population in South Africa, until 1959. He worked in Europe and the USA from 1964, also as a lecturer at various universities. He returned to South Africa in 1985 and lived there until 2007. Today, Jürgen Schadeberg lives with his wife in Spain. In June 2018, Leica Camera AG will be honouring Bruce Davidson for his lifework with a place in the Leica Hall of Fame – an accolade for an exceptional photographer whose photography has changed the world and touched hearts everywhere. The lifework of Gianni Berengo Gardin, probably the most highly acclaimed Italian photographer of the post-war years, was honoured with the Leica Hall of Fame Award by Leica Camera AG in Rome on 15 November 2017. Gianni Berengo Gardin was born in Santa Margherita (Liguria) on 10 October 1930 and spent his childhood in Rome. After the end of World War II, he and his family moved to Venice. Berengo Gardin, an amateur photographer since the early years of his youth, decided to make his career in professional photography and worked as a photojournalist for the magazine Il Mondo until 1965. After moving to Milan in 1964, he set up a studio for fashion, advertising and still life photography. 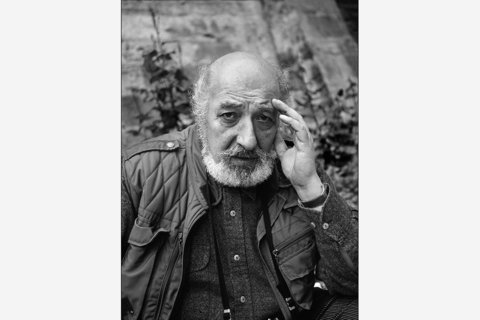 Berengo Gardin has published around 200 books and has been awarded numerous prizes for his work, among them, the Prix Brassaï in 1990 and the Leica Oskar Barnack Award in 1995. The acclaimed photographer Joel Meyerowitz was honoured for his lifework with the Leica Hall of Fame Award and a major exhibition in the course of the ‘A Celebration of Photography’ event held by Leica Camera AG on 18 January 2017. Joel Meyerowitz was born in New York in 1938 and grew up in the Bronx. He studied painting and initially worked as an advertising art director. Meyerowitz began shooting on 35 mm colour film in 1962. In the following year, he alternated this with black-and-white before returning to the richness of storytelling in colour. New York always remained the dominant focus of his life as a photographer – from his early works from the 1960s to his evocative images taken at Ground Zero in the aftermath of 9/11. Meyerowitz lives and works in New York and Tuscany. 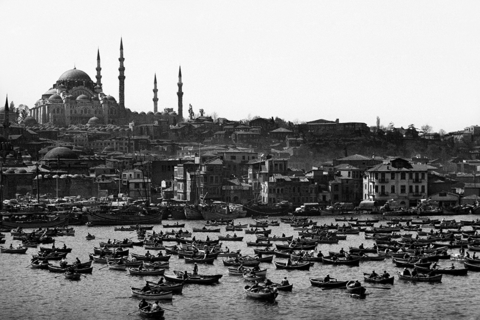 The lifework of the famous Magnum photographer Ara Güler was honoured with the Leica Hall of Fame Award and his photography was celebrated by a major exhibition in the Leica Masters of Photography Gallery in the course of photokina 2016. Leica Camera AG, this year is not only celebrating 100 years of Leica photography, but also the 60th birthday of its legendary Leica M rangefinder system, honoured Thomas Hoepker with the Leica Hall of Fame Award as a Leica M photographer who captured people and events of contemporary history and for his decisive contribution to the genre of reportage photography in the second half of the 20th century. In 1962, he started as a photographer traveling the world and since then has captured moments of international stature that still impress today. For instance the portrait of the boxer Muhammed Ali and the world-famous picture of the burning World Trade Center. With the group of young, seemingly carefree people in the foreground, it became a synonym for trauma overnight. Swiss photographer René Burri is considered to be one of the best-known and most respected photographers of the 20th and 21st centuries, capturing evocative images of Berlin pre and post wall, as well as iconic portraits of Picasso, Giacometti, Le Corbusier and Che Guevara, to name a few. One could say that his images stand as valuable documents of contemporary history. On 26 June 2013, Dr. Andreas Kaufmann, Chairman of the Supervisory Board at Leica Camera AG, presented a Leica M Monochrom to Burri in Zurich before an audience of numerous guests invited by Leica Camera AG and the Zurich University of the Arts. At photokina 2012, Vietnamese photojournalist Nick Út was honoured with the Leica Hall of Fame Award, having shot one of the best-known war images of all time. “Nothing less than an everlasting icon of photography” is how his image from 8 June 1972 is described. Minutes after four napalm bombs were dropped on the town of Trag Bang, terrified Vietnamese victims, including screaming children and a completely naked, badly burned napalm victim – 9 year old Kim Phuc – were seen running towards the waiting reporters. Nick Út captured this moment with his Leica M2, thus reviving the anti-war movement and ultimately winning the Pulitzer Prize. Dr. Andreas Kaufmann, chair of the supervisory board of Leica Camera AG. Whether a student movement, the Cold War, the fall of the Berlin Wall or the Kohl era and modern Germany - Barbara Klemm has managed to capture the essence of the moment forever on film. For more than three decades, 62-year-old McCurry has been on the road as a documentary photographer at the world's trouble spots and has obtained many awards for his work. His documentary on the Soviet invasion of Afghanistan won him international fame. He also covered, among other things, the Iran-Iraq War, the Gulf War, and the Yugoslav Wars, and sent reports from Lebanon, Tibet, Yemen, and Cambodia. His most famous photograph is most likely the "Afghan girl" Sharbat Gula, a photograph that was taken in 1984 in a refugee camp. Since 1986, Steve McCurry has been a member of the renowned photographic agency Magnum.